Our evolutionary path has always driven us to see what’s over the next hill, across the next ocean, and soon, on the next planet. Exploration is ingrained in our genetic makeup, and one day it will lead us to distant Mars… but what if we arrived on Mars, only to find that it was in fact our beginning? Mars is in Our DNA is the winning poster design of the international Project Mars competition, a SciArt Exchange and NASA collaboration. Mars is in Our DNA purchase proceeds will be donated to SciArt Exchange. 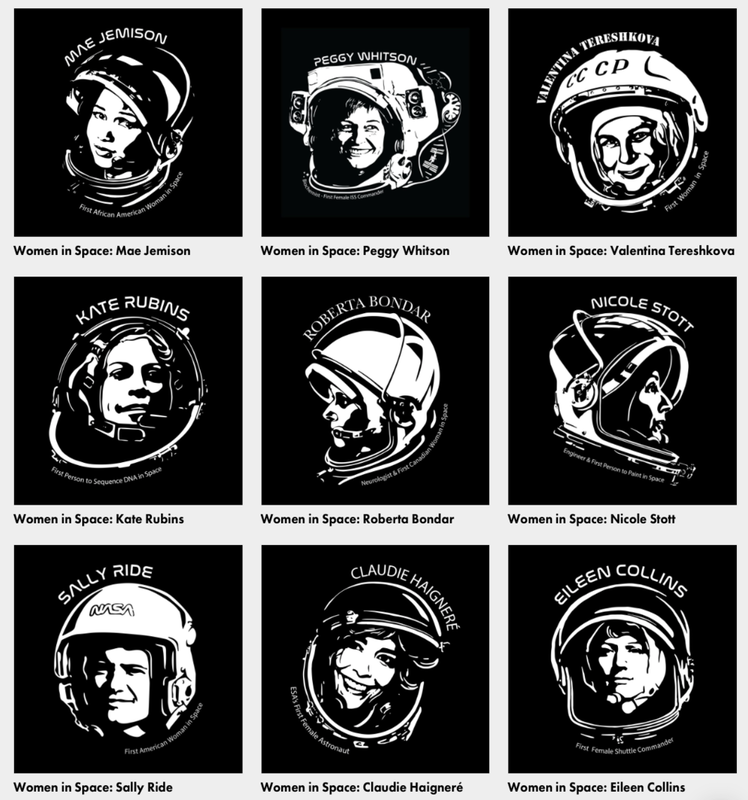 Show your support for science and space exploration by checking out our new Women in Space designs available on t-shirts, stickers, mugs and more.